People go crazy over their Instant Pots. Enthusiasts call themselves Instant Pot Heads, and we wouldn’t be surprised if they kept it under their pillows at night. 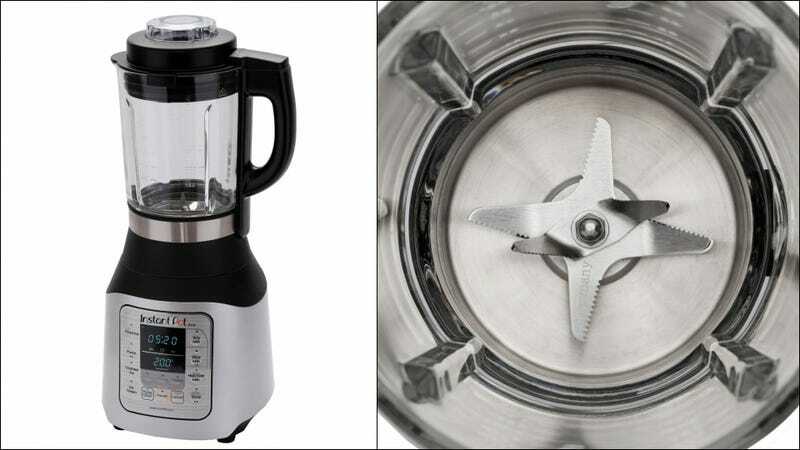 Now comes news today that the Internet’s favorite don’t-you-dare-call-it-a-pressure-cooker is adding a blender to its multi-million-selling appliance. So essentially, it can make soup really fast and then blend it inside its cooking vessel. The Ace Blender, as it is called, blends and cooks simultaneously—and just as we’re on the brink of soup season. Its “hot” options go as high as boiling, and its “cold” function claims to be able to make ice cream and butter. It also crushes ice, along with the dreams of countless kitchen appliance makers. One feature we’re not seeing: the sauté function, a key component of the O.G. Instant Pot. Certain stew and soup recipes we love benefit from first caramelizing, say, onions, then deglazing with a bit of wine or vinegar, which doesn’t seem to be an option with the Ace. Best to reserve this for more simple puréeing and butter-churning, perhaps. Will you get swallowed by the hype? You can find out yourself for $99 at Walmart.